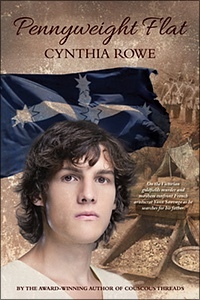 Welcome to the official website of award winning Australian author, Cynthia Rowe. Cynthia has published seven novels: ‘Our Hollow Sofa’ (2004); ‘Ants in My Dreadlocks’ (2005) [runner-up Society of Women Writers NSW 2007 Biennial Book Awards]; ‘Stinger in a Sugar Jar’ (2007); ‘Bad Grass’ (2009) [Second Prize Junior Fiction Society of Women Writers NSW 2011 Biennial Book Awards]; ‘My French Barrette’ (2012); general fiction novel ‘Couscous Threads’ (2008) [Highly Commended Society of Women Writers NSW 2009 Biennial Book Awards. ]; ‘Pennyweight Flat’ (2013). She has published three poetry collections: ‘Driftwood’ Ginninderra Press (2010); ‘Floating Nest’ Rebus Press (2014) [First Prize Poetry in The Society of Women Writers NSW 2016 Book Awards]; ‘Stone Circles’ Snapshot Press (2017). Her short stories have appeared in national magazines such as Woman’s Day, That’s Life!, Tarralla 5, Signatures, Positive Words, Blue Crow Magazine, Writers Voice and Alliance Française magazine. 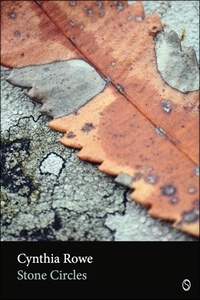 Stone Circles is now available to download from Snapshot Press, free of charge. 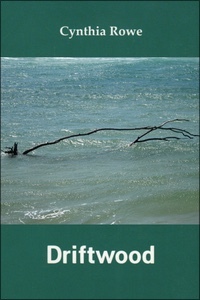 With subject matter ranging from coast to country, from a backyard outhouse to an up-market Sydney dental clinic with a view of the Harbour, Cynthia Rowe’s haiku & senryu demonstrate her command of astutely juxtaposed images which reveal, often with wit or humour, the connections between things. 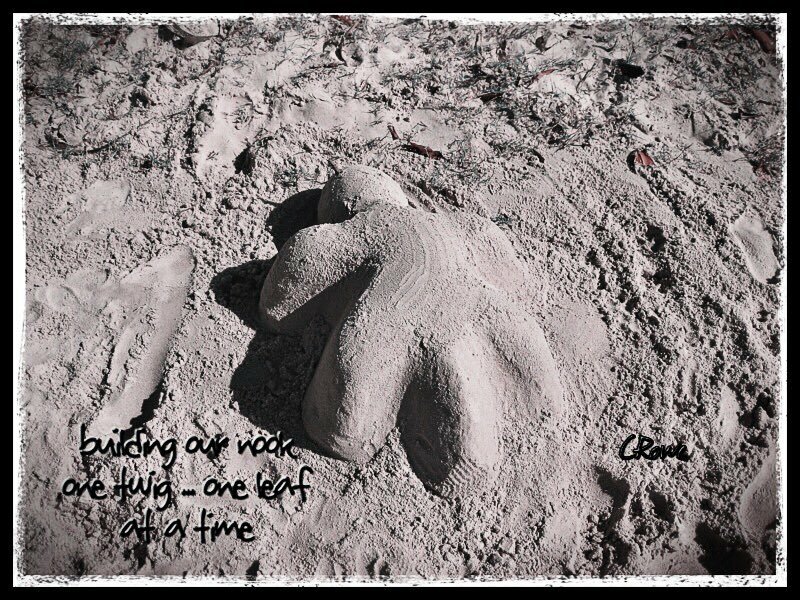 Floating Nest, her timely first haiku/ senryu collection, will engage and delight. 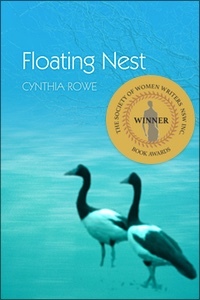 Floating Nest was awarded First Prize Poetry in The Society of Women Writers NSW Book Awards 2016. Pennyweight Flat is set during the Gold Rush in 1854 at the time of the Eureka Stockade. The story centres on Yann Sauvage, grandson of Napoleon Bonaparte, who has come to the Colony of Victoria to seek out his father, Jean-Paul Sauvage, a deserter from the French army. The element of danger for Yann is almost always present – from political enemies or the troopers, from snakes, disease, and drunken miners. All this adds to the exciting possibility of striking it rich, of being reunited with his father, of finding friendship, and, perhaps something more, with the storekeeper’s daughter Clem. The energy levels of Pennyweight Flat are high. Tension and apprehension pervade the story, as well as dry humour due to the incongruous situations in which Yann often finds himself. Will he find his father? Or will the Saint-Simonians, who he believes have murdered his mother, continue to block Yann at every turn? Who would’ve dreamed a horse’s bowel movements, in the greater scheme of things, could change your life? I went to the house on Ti Point to speak to Marcel, find out if he had any other ideas about Namilly. I still found it hard to imagine her socking down perfume. The curtains were drawn. Pine needles had built up on the doorstep. Orazio, the gardener, was buzzing around the lawn on his ride-on mower. Through a cloud of diesel fumes, I asked him if the Frenchman had left. He said he thought he’d gone. I trudged past Win’s two-storey clapboard on my way home. I hadn’t spoken to her since the incident on the Bay, but I could see her with Bill Einstein in the side paddock. A garden hose in her hand, she was struggling to insert the plastic down his throat. Had she turned into a fruitcake? Become unhinged by her experience? ANTS IN MY DREADLOCKS continues Genna Perrier’s search for her origins. 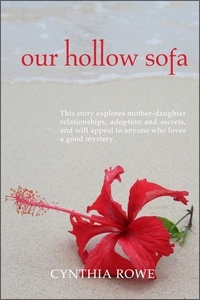 Her quest takes her to New Caledonia, the place of her birth, where she meets a range of quirky characters and experiences unexpected adventures. . While there, Genna comes across information that helps to explain the reason for her birth mother, Sandrine, relinquishing her as a baby. She discovers the depths to which her grandfather, Jacques Forestier, is prepared to sink, as he uses others to do his dirty work. Replete with culture clash, the book takes you on a wild ride behind the tourist areas of New Caledonia, from kava bars to deer farms, back alleys in the Latin Quarter and treacherous rainforest walks. Find out what life is really like on this cigar-shaped French Pacific island. 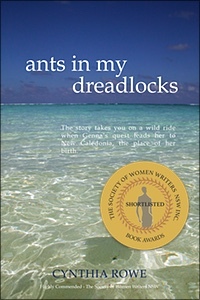 Ants in my Dreadlocks won an award in the 2007 Society of Women Writers Book Awards. STINGER IN A SUGAR JAR is the third book in the Genna Perrier series. Set in Far North Queensland, the story follows Genna’s adventures as she travels to Cairns to catch up with her birth mother, Sandrine. Experience the highs and lows of a mother daughter relationship. Be there as Genna meets up with her freedom fighter friend, Rocky Colline. Feel the tension as she goes bungy jumping with the notorious Malachi. Learn about the dark past of her Year 12 French examiner, Pascal Manet. And, more importantly, what motivates Sandrine to behave the way she does? Complete with the quirky characters and culture clash the reader has come to expect, this tale will plunge you into an exotic tropical setting filled with mystery. 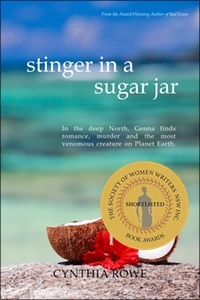 Stinger in a Sugar Jar was short-listed in the 2007 Society of Women Writers Book Awards. 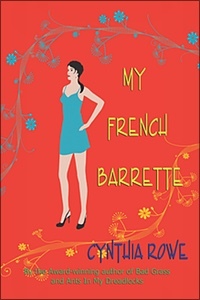 My French Barrette, the latest book in the Genna Perrier series, follows on from the popular Our Hollow Sofa, Ants in My Dreadlocks and Stinger in a Sugar Jar. Now at University, and soon to graduate, feisty Genna is forced back to the country of her birth. There she must make choices. Does her future lie with tennis-playing student Aaron, kava farmer revolutionary Rocky, or motorcycle-riding academic Pascal? Will Genna remain in the Victorian seaside town of Ravella, settle in the Pacific islands of New Caledonia or embark on new adventures in distant France? And what is the importance of the French barrette? ‘An eclectic collection of poetry from an experienced writer who already has numerous publications to her credit. Now here is a book that reflects the author’s remarkable ability to use the written word as free verse, and in traditional poetic structure. More recently Cynthia Rowe has embraced, with outstanding success, the ancient Japanese forms of haiku, senryu, tanka and haibun, which are extensively represented in this volume. Bad Grass, is a must-read for parents and teenagers who wish to better understand the complexities of body image and schoolyard bullying so common today. 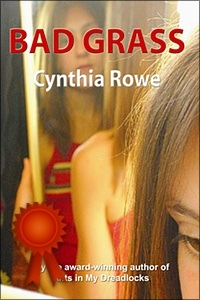 Bad Grass was awarded Second Prize Junior Fiction Society of Women Writers NSW Biennial Book Awards 2011. 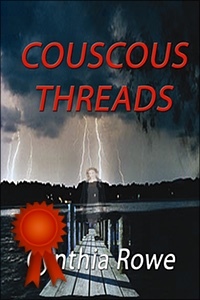 Couscous Threads, was highly commended, runner-up fiction, in The Society of Women Writers NSW inc. Biennial Book Awards 2009.